Stress relief. A few minutes of yoga during the day can be a great way to get rid of stress that accumulates daily - in both the body and mind. 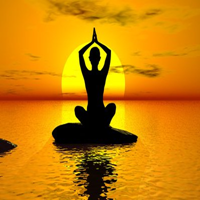 Yoga postures, pranayama and meditation are effective techniques to release stress. You can also experience how yoga helps de-tox the body and de-stress the mind at the Art of Living Yoga Level 2 Course. Inner peace. We all love to visit peaceful, serene spots, rich in natural beauty. Little do we realize that peace can be found right within us and we can take a mini-vacation to experience this any time of the day! Benefit from a small holiday every day with yoga and meditation. Yoga is also one of the best ways to calm a disturbed mind. Improved immunity. Our system is a seamless blend of the body, mind and spirit. An irregularity in the body affects the mind and similarly unpleasantness or restlessness in the mind can manifest as an ailment in the body. Yoga poses massage organs and stregthen muscles; breathing techniques and meditation release stress and improve immunity. Living with greater awareness. The mind is constantly involved in activity – swinging from the past to the future – but never staying in the present. By simply being aware of this tendency of the mind, we can actually save ourselves from getting stressed or worked up and relax the mind. Yoga and pranayama help create that awareness and bring the mind back to the present moment, where it can stay happy and focused. Better relationships. Yoga can even help improve your relationship with your spouse, parents, friends or loved ones! A mind that is relaxed, happy and contented is better able to deal with sensitive relationship matters. Yoga and meditation work on keeping the mind happy and peaceful; benefit from the strengthened special bond you share with people close to you. Increased energy. Do you feel completely drained out by the end of the day? Shuttling between multiple tasks through the day can sometimes be quite exhausting. A few minutes of yoga everyday provides the secret to feeling fresh and energetic even after a long day. A 10-minute online guided meditation benefits you immensely, leaving you refreshed and recharged in the middle of a hectic day. Better flexibility & posture. You only need to include yoga in your daily routine to benefit from a body that is strong, supple and flexible. Regular yoga practice stretches and tones the body muscles and also makes them strong. It also helps improve your body posture when you stand, sit, sleep or walk. This would, in turn, help relieve you of body pain due to incorrect posture. Better intuition. Yoga and meditation have the power to improve your intuitive ability so that you effortlessly realize what needs to be done, when and how, to yield positive results. It works. You only need to experience it yourself. For detail and customised yoga programme, please be in touch! !